It’s all supposed to be for the public good, but new reporting based on internal documents and emails reveals deal-making between “think tank” research institutes and giant corporations is driven by more mundane interests. Think tanks are non-profit policy research establishments with tax-exempt status, as they are assumed to be doing work to advance the public good, not cater to private interests. Traditional lobbying of the federal government is likewise regulated to promote transparency. When the rules become too onerous, or the public image of a corporation is stained by its overt solicitations for policy change, think tanks become a useful corporate device, the New York Times has found, in a Sunday report jointly researched with the New England Center for Investigative Reporting (NECIR). In one instance, drone manufacturer and military contractor General Atomics sought the services of the think tank Center for Strategic and International Studies (CSIS). With the Afghanistan and Iraq wars in a slump in 2013, fewer drones were being sold to the US military. The California-based maker of Predator drones needed to find customers abroad, but weapons trade restrictions at the time prohibited their export. Following a donation of tens of thousands of dollars to CSIS – a small sum compared to other donors such as Lockheed Martin and Boeing, the Times reported – the think tank not only completed a study on drone policy and export in 2014, but actually arranged secret meetings in its office headquarters with officials from the Air Force, Marine Corps, Navy and the State Department as well as the secretary of defense. General Atomics now had prime access to policymakers in the think tank space to advance its business goals. The State Department then released new trade rules in February 2015, encouraging fewer limits on the export of drones, leading to a deal between General Atomics and the United Arab Emirates. The sale of unarmed drones to a non-NATO country was the first of its kind, according to the Times. The Brookings Institution, a left-leaning powerhouse in Washington, had “thousands of pages of internal memos and confidential correspondence,” with for-profit businesses, including JPMorgan Chase, the biggest of the big US banks, the Times-NECIR report said. Offering “donation benefits” in its memos, Brookings appeared to “blur the lines” between offering neutral research and corporate public relations, according to the report. Called a “university without students,” Brookings was named “Top think tank in the world” in a 2015 report by the University of Pennsylvania. Founded in 1916, the think tank operates on an average annual income of $107.5 million, according to TheBestSchools.org, which lists it as number 7 of the 50 most influential think tanks in the US. The Times-NECIR report said that dollar figure represents a doubling in the tank’s budget in the last decade. According to the report, JPMorgan made a tax-deductible donation of $15.5 million 2011 to Brookings' Metropolitan Policy Program, the largest sum of money ever received by the institution from a private company. However, what came out of that gift was a brand new project dubbed the Global Cities Initiative. It even had a logo including the line “joint project of Brookings and JPMorgan Chase,” a corporate rebranding tactic some argue. 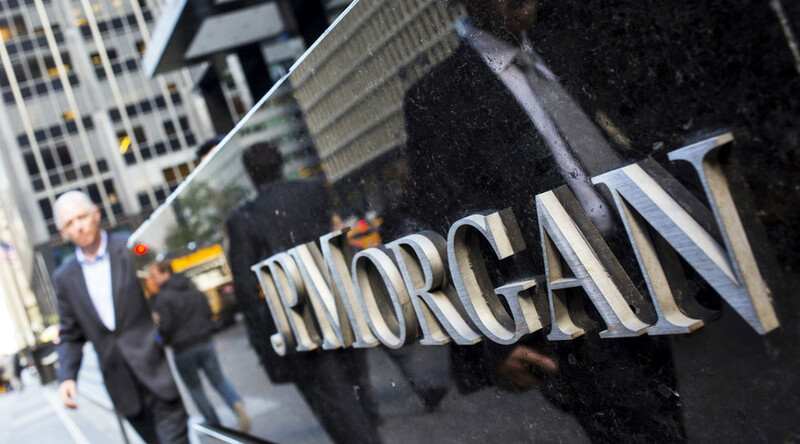 The project encouraged both local economic growth and international trade, of which JPMorgan would have a major stake in through its business loan programs. “Bottom line: Growing metro economies is good for the nation and for JPMC; also, many U.S. cities are JPMC clients — motivation to support them and their clients,” a July 2011 internal Brookings document read, according to the Times-NECIR report. The appearance of quid-pro-quo was not lost on those at Brookings. Based on the documents obtained via an open records request, the report appears to reflect an open secret on Capitol Hill. Warren spoke to the New York Times for its recent report, regarding the consequences of special interested-peddled research when it reaches congressional chambers. Brookings executive vice president Martin S. Indyk denies the implied allegations. “We do not compromise our integrity,” Indyk told the New York Times. “We maintain our core values of quality, independence, as well as impact,” adding that Brookings recently disallowed any corporation or corporate-supported entity from contributing anonymously.